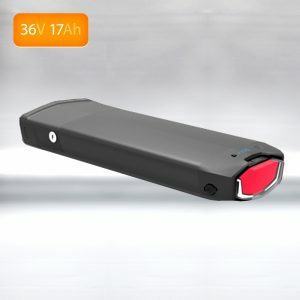 The battery is the most important and expensive component of an electric bicycle, you have to pay the money if you want a good one. The best manufacturers of lithium ion batteries for ebikes are PANASONIC, SAMSUNG and BOSCH. All of BOSCH’s batteries are integrated systems and cannot be used with kits. We stock a good range of advanced lithium ion batteries using PANASONIC cells or SAMSUNG cells. These have the highest power to weight ratio of all commercial lithium ion batteries. All batteries have an internal protective battery management system (BMS). Your choice of battery should be made based on style preferences and range required. A battery with a greater capacity will give a greater riding range. Capacity is measured in Amp hours (Ah) or Watt hours (Wh). 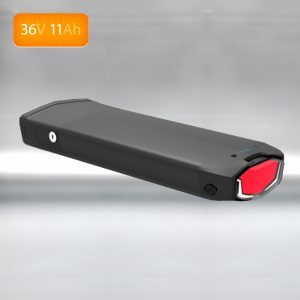 Typically, 36V batteries are used for motor powers between 200W – 500W and 48V batteries are used for 1000W motors. Frame-mounted batteries result in improved handling due to a better centre of gravity. Rack batteries are better suited for step through bicycles. 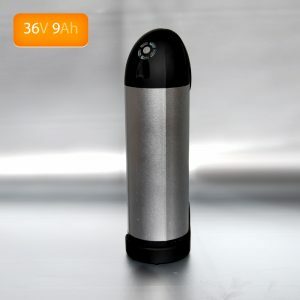 There is more information on batteries and best charging practice at the bottom of this page. The best charging practices are to charge often and don’t regularly run it flat. Once you know your range, aim to keep within 20% of that range on a regular basis. The charger will turn off once the battery is fully charged. It’s good practice to remove the charger once it is fully charged because you still have a live circuit. Be sure to always turn the battery switch off when you are not using it, a small amount of current will drain into the controller otherwise and the battery will go flat within a few weeks. If you are going away for a long time then give the battery a full charge and remove the battery from the rack or unscrew the cable at the bottom if it is a tube style. It will be ok for around 3 months if you do this. If you run your battery flat then you should charge it up as soon as possible. If you leave it in a flat condition for a long time then you will likely damage it beyond repair. We don’t want to worry you but you should know that lithium ion batteries can be dangerous. Watch this video if you want to see what can happen if they get mis-treated. You should treat your battery with the same precaution as you would treat a bottle of petrol. They should not be exposed to heat or physical damage. You should charge your battery in a place where it can’t get damaged and if there is an accident it won’t be fatal. Ie, don’t charge your battery next to a sleeping baby. There are many circumstances around the world of lithium ion batteries catching fire. If they do, there is very little you can do about it as they are extremely hard to extinguish, put out lots of acrid smoke and burn extremely hot. The best thing to do if there is a fire is douse it continuously with water if it’s safe to do so – perhaps have your charging location in reach of your garden hose. The risk of fire is extremely small if you don’t do anything silly or have an accident but you should be aware of the potential risk. We only use batteries from top manufacturers and they are all tested at the battery factory and at our warehouse. We also only use chargers specifically designed for the batteries and with Australian electrical certification. Don’t use any old charger for them, you need to get the correct one. It is wise to first charge and even turn on the battery outdoors. Lithium ion batteries last about 3 times as long as lead acid batteries and weigh about three times less – approximately 4kg (Li ion) vs 12kg (lead acid) for 36V 10ah. There is simply no comparison if you are looking for high performance. 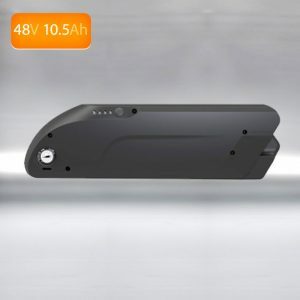 The cost is still very high for excellent quality lithium ion battery packs for electric bicycles but the enhanced lifespan compensates for this cost difference. 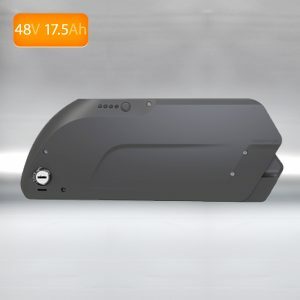 It is important to use a lithium ion battery designed for an electric bike as they have battery management systems (BMS) inside them. The BMS is a piece of circuitry that must be set appropriately to control the amount of current draw required by the motor and to limit excessive discharge capacity. The BMS is also important for balancing cell charge between the individual cells within the battery to maintain battery life over time. For performance reviews of the batteries on offer please read through some of the testimonials. Sealed lead acid batteries are also not a bad option if that is what you have handy or are budget limited. 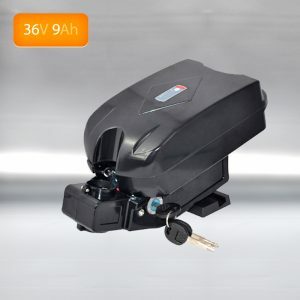 They have proven through the test of time and handle the current draw of electric bicycle motors well. Absorbent glass mat (AGM) batteries are commonly used lead acid batteries for electric vehicles, they use either gel or absorbant glass mat fibres to hold the electrolyte. They have a higher energy density than typical car batteries and can be inverted without spilling acid, they cope with higher temperatures and can be charged and discharged more rapidly. You should be able to get a set of sealed lead acid batteries from a local battery shop for between $130 – $250. If running a 36V motor, you will need to get three 12V batteries and hook them up in series (aim for about 12ah each battery). 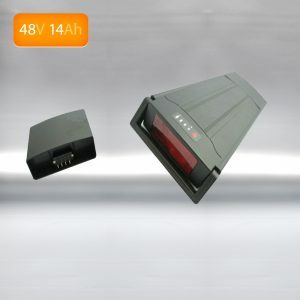 You will also need to get a 36V battery charger – send us an email if you need help in sourcing one as they can be difficult to come by. Lead acid batteries suffer in range and are heavy.